This small powder room can’t help but catch your eye. The luminous radiance makes a small space sparkle. The reflection of the tile wall and the antiqued mirrors on the vanity drawers give depth to the space, while the wood floor and vanity add textural contrast. 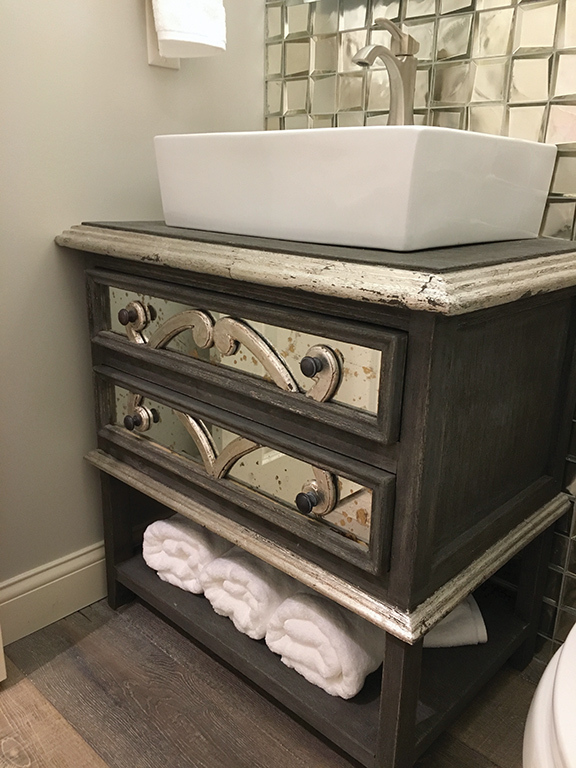 A touch of glimmer comes from the metallic silver paint on the wooden mullions on the mirrored vanity drawer fronts as well as the border on the top and bottom of the vanity. To highlight each detail of the small powder room, designers K-Build Design selected lighting that provides sparkling illumination. Three-piece crown molding was used to soften the feel and add a tone of elegance. 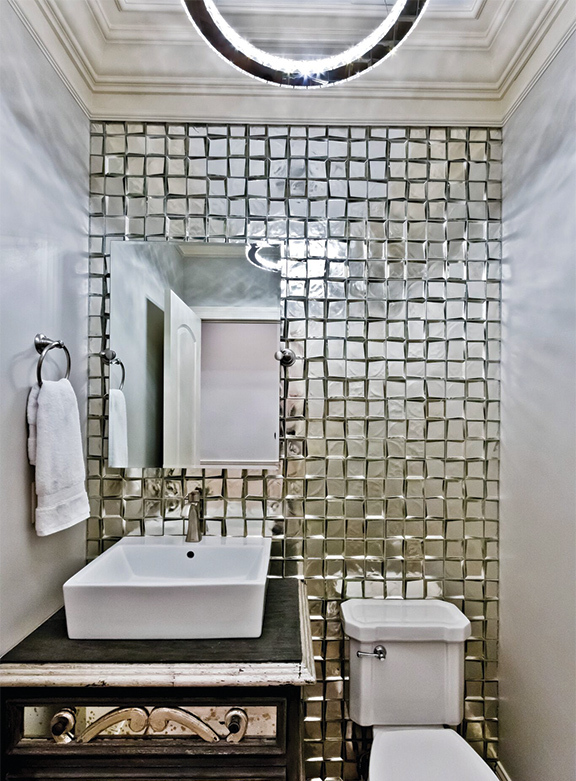 The designers of this powder room packed a lot of sparking in a little space. So glam! The rustic feel of the wood floor against the sparkle of the tile is a great balance.